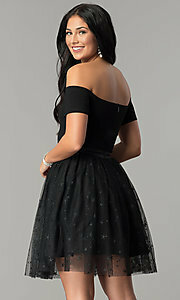 You are sure to sparkle like a star wearing this short black party dress as a homecoming dress or short prom dress. 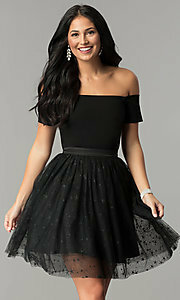 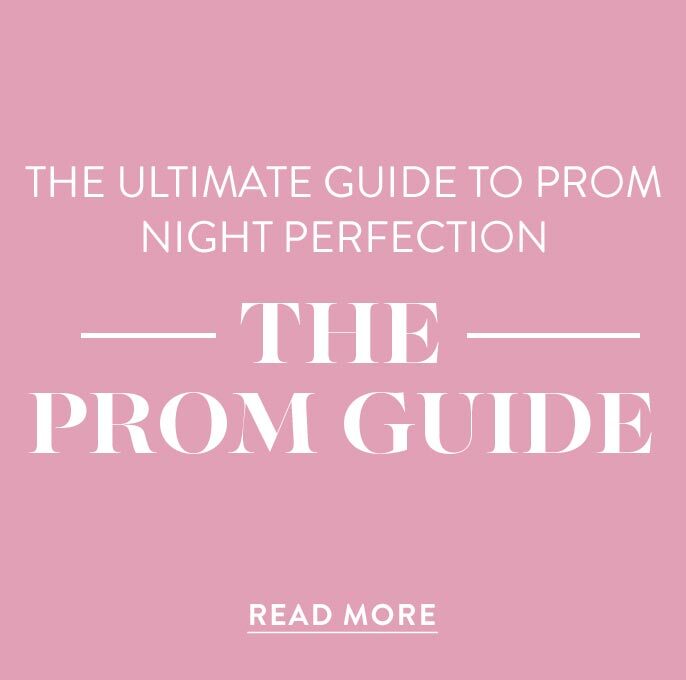 The LBD features a fitted off-the-shoulder bodice with short sleeves. Embellished with glittering stars and light-catching beads, the fully-lined sheer tulle skirt flares generously from the satin banded waistline of this fit-and-flare party dress. 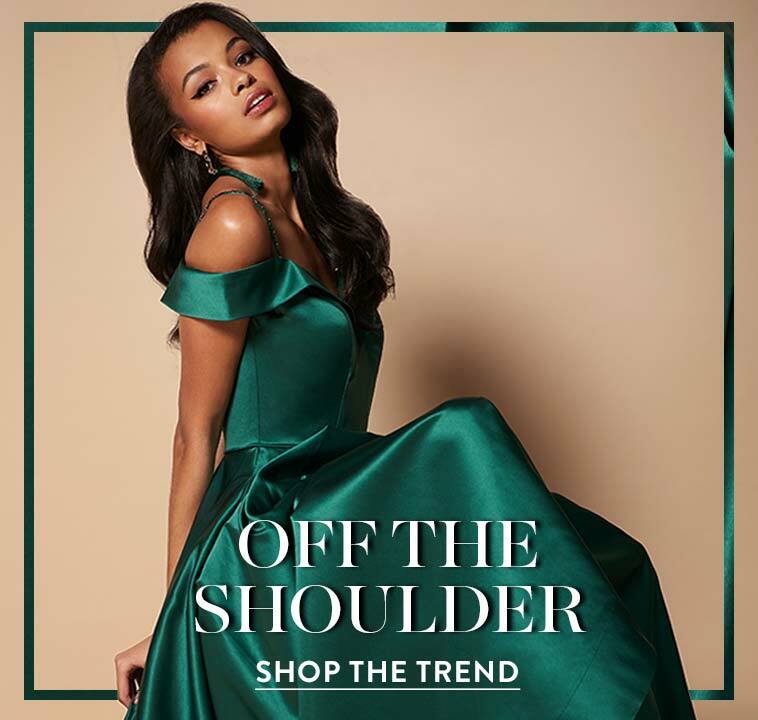 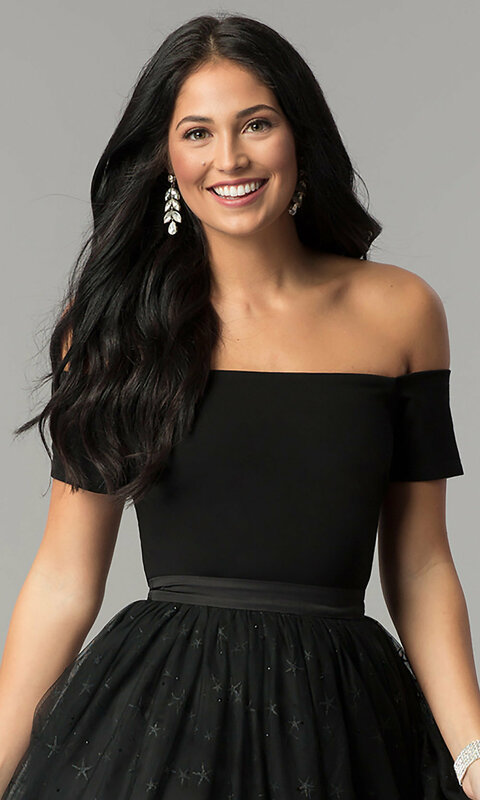 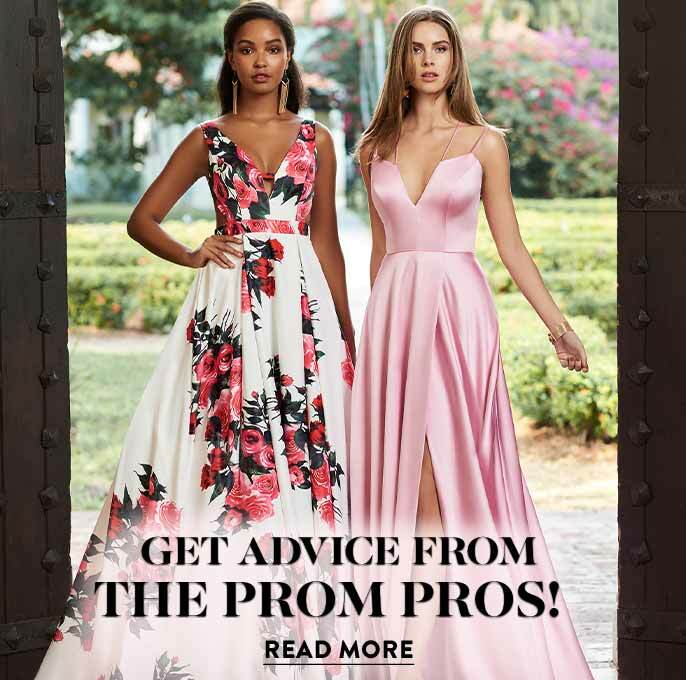 At under $150, this semi-formal off-the-shoulder black dress is budget-friendly for hoco 2019, holiday parties or prom celebrations.